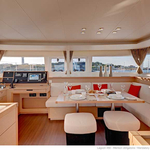 Gatto di Mare NEW is a name of sailboat Lagoon 450 ,which has been manufactured in 2018. You can charter this boat from port Seget Donji around Split. 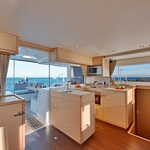 Gatto di Mare NEW is furnished with 12 berths. 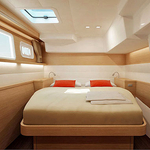 Berths on the yacht are configured in 12 (8+2+2) layout. 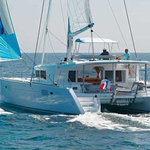 6 bedrooms are situated inside the sailboat Gatto di Mare NEW. You can get more yachts by going to the section Catamarans Split. 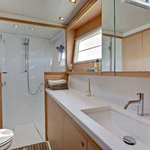 Guests can feel good on this yacht , because there are 4 heads for their disposal. Gatto di Mare NEW is equipped with engine 54. 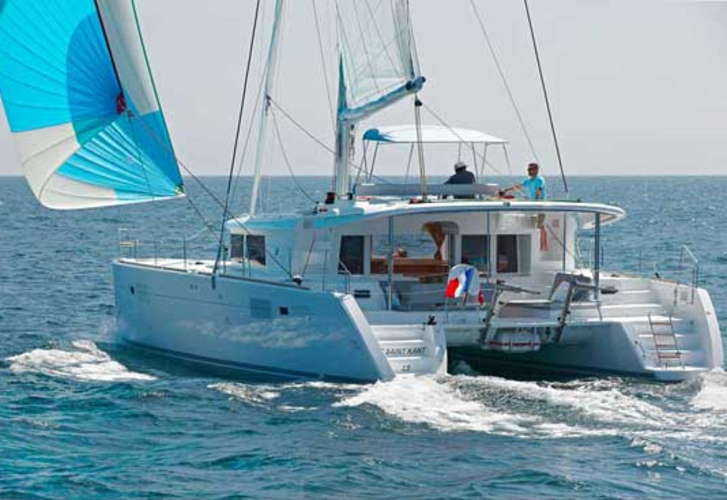 Vessel's dimensions are: lenght - 13.95 meters , width - 7.84 m and 1.3 m of depth. 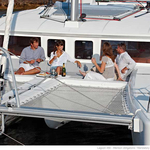 On the boat you can make use of following equipment: Bimini top, Dinghy, Electric winch, Teak cockpit, Anchor electric windlass, generator, Inverter 12v-220v, Wc pump electrical, Radio / cd player, 2 refrigerators, Heating, Air conditioning, Plotter gps in cockpit, Autopilot, Mainsail with lazy jack. . Deposit has value 0.00 EUR. 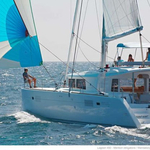 In our search engine you can effortlessly check avalailability of sailboat Gatto di Mare NEW from Seget Donji following this link: Catamarans Croatia.